While most people know what fossil fuels are – petrol, coal and gas – they don't often know how they were created. These types of fuels were created over an entire geological era, representing the encapsulated energy savings of that period. Yet at our current rates, we will use up this energy in one millionth of the time it took to create. As a result, we're having to design systems which will be efficient in the long term, using energy that will be available well into the future. For example, the energy from the sun and the solar energy found in nature will be sufficient to meet our long-term energy needs. 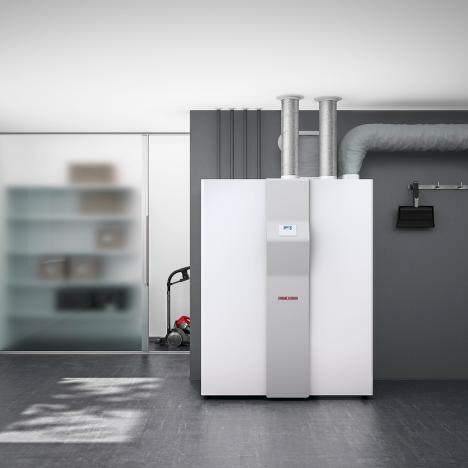 STIEBEL ELTRON has solutions available that can help to drastically reduce our energy consumption. By using intelligent technology that can harness renewable energy, we can drastically reduce our dependence on finite resources, such as crude oil, natural gas and coal. If you switch from traditional oil or gas heating systems to a heat pump, you can cover up to 75% of your household heat demand with renewable energy. 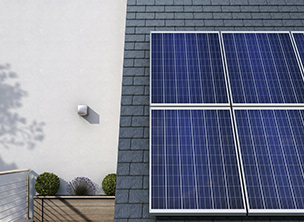 By using solar panels as well, your level of independence can be even higher. If you want to convert solar energy into usable heat, then thermal storage solutions are a great option. Not only are they technically advanced and durable, they are great for household use because almost 90% of our energy bill goes toward heating. 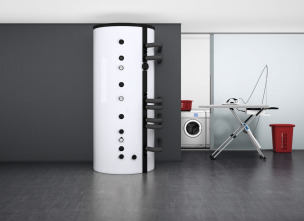 With highly insulated thermal storage systems from STIEBEL ELTRON, you can store heat extremely effectively – with minimal heat losses. That means the energy needed for hot water and heating your home will always be available. Take advantage of your full energy potential by using modern ventilation systems. These will not only give you a healthier indoor climate, they also contribute to the efficient use of energy. This is because our ventilation systems retain up to 90% of the energy otherwise lost through opening windows. Heat pumps also work more efficiently these days, they can draw 75% of their heating output from the environment. STIEBEL ELTRON offers a range of ideal solutions to ensure the power you're generating on site is used efficiently. 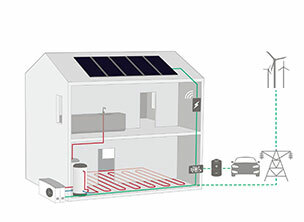 By connecting and controlling the technical components of a building, you can increase the use of self-generated power. The Internet Service Gateway (ISG) creates the interfaces to intelligently control the building's services.